The Division of Science is pleased once again to announce the availability of Traineeships for Undergraduates in Computational Neuroscience through a grant from the National Institute on Drug Abuse. Traineeships will commence in summer 2019 and run through the academic year 2019-20. Please apply to the program by February 27, 2019 at 6 pm to be considered. Interested students should apply online (Brandeis login required). Questions may be addressed to Steven Karel <divsci at brandeis.edu> or to Prof. Paul Miller. 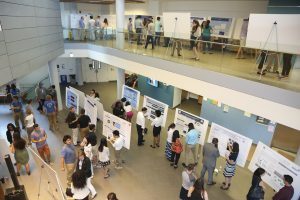 The Brandeis University Division of Science held its annual undergraduate research poster session SciFest VIII on August 2, 2018, as more than one hundred student researchers presented summer’s (or last year’s) worth of independent research. We had a great audience of grad students and postdocs (many of whom were mentors), faculty, proud parents, friends, and senior administrators. 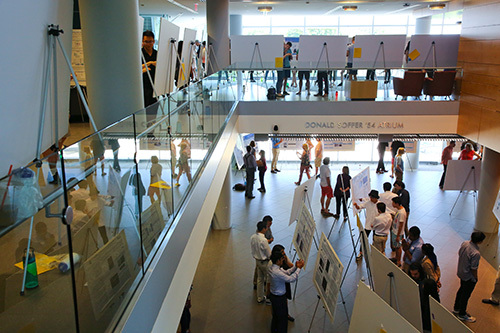 Summer Materials Undergraduate Research Fellowships (SMURF), supported by the Brandeis Materials Research and Engineering Center. 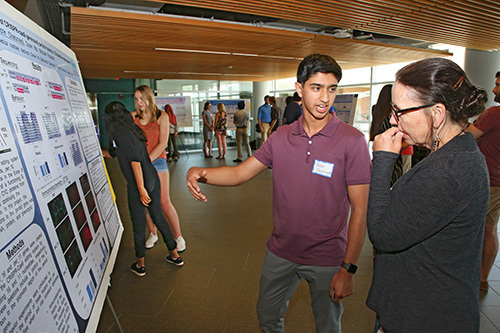 Cell and Molecular Visualization REU, sponsored by NSF. MRSEC REU, sponsored by NSF. 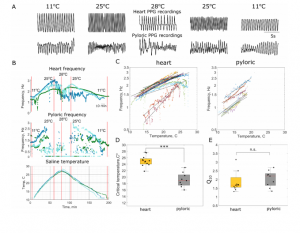 Undergraduate Traineeships in Computational Neuroscience, sponsored by NIH. 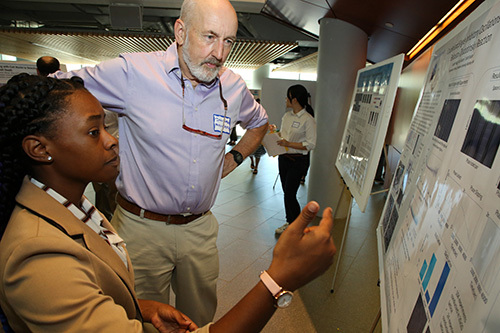 Quantitative Biology Research Community (QBReC) at Brandeis, sponsored by HHMI. The 2018 Voice/Web/Mobile JBS will have their final product showcase this Thursday 8/2 from 3-5 in Schwartz 112. Six teams of three students each have built apps which can be accessed either through voice or through a browser (or both). The presentations will be from 3-4 (right after SciFest though in a different building) and you’ll be able to play with their apps from 4-5 at the reception. CollegeInfo — allows you to ask complex questions about the Brandeis course schedule, such as which Computer Science courses are offered this semester on Mondays at 3:00, and you can also use it to build and view your schedule. SeniorCenter — matches seniors based on their interests in books, movies, and TV series. This is designed to fight the isolation and depression common in seniors while allowing them to use their voice rather than click buttons on their computer or phone. DeisTransportApp — allows you to make reservation on the BranVan and query arrival times and bus locations all by voice! HumanGainz — allows your phone to serve as your personal trainer at the gym. Reminding you of which exercises are next in the workout you selected. SON – this is a next generation calendar app which incorporates social media so you can ask which of your friends are free at a particular day/time as well as handle all of the usual calendar operations. Please join us to see the presentations, ask questions, and interact with the apps. 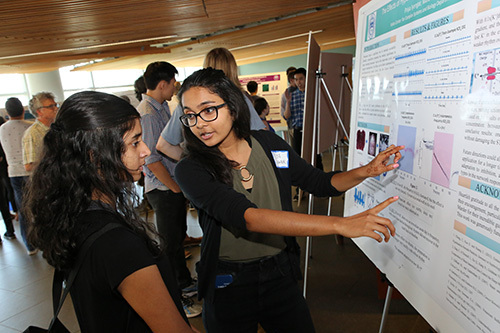 In 2018, the Division of Science will offer seven Summer MRSEC Undergraduate Research Fellowships (SMURF) for Brandeis students doing undergraduate research, sponsored by the Brandeis Materials Research Science and Engineering Center. 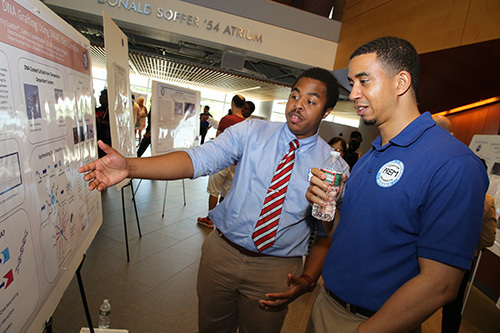 The fellowship winners will receive $5,000 stipends (housing support is not included) to engage in an intensive and rewarding research and development program that consists of full-time research in a MRSEC lab, weekly activities (~1-2 hours/week) organized by the MRSEC Director of Education, and participation in SciFest VIII on Aug 2, 2018.The due date for applications is March 1, 2018, at 6:00 PM EST. To apply, the application form is online and part of the Unified Application (Brandeis login required). SMURF recipients are expected to be available to do full time laboratory research between May 29 – August 3, 2018. 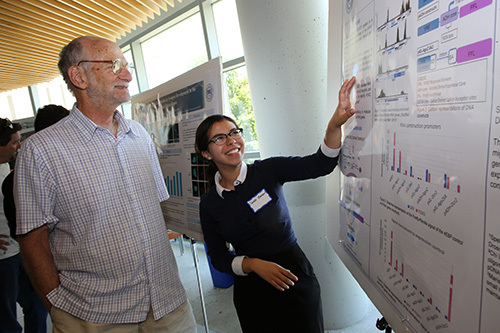 During that period, SMURF students are not allowed to take summer courses, work another job or participate in extensive volunteer/shadowing experiences in which they commit to being out of the lab for a significant amount of time during the summer. Additionally, students should not be paid for doing lab research during this period from other funding sources.